Ladies and gentlemen, this is why I go to Cars and Coffee at the asscrack of dawn on Saturday mornings. 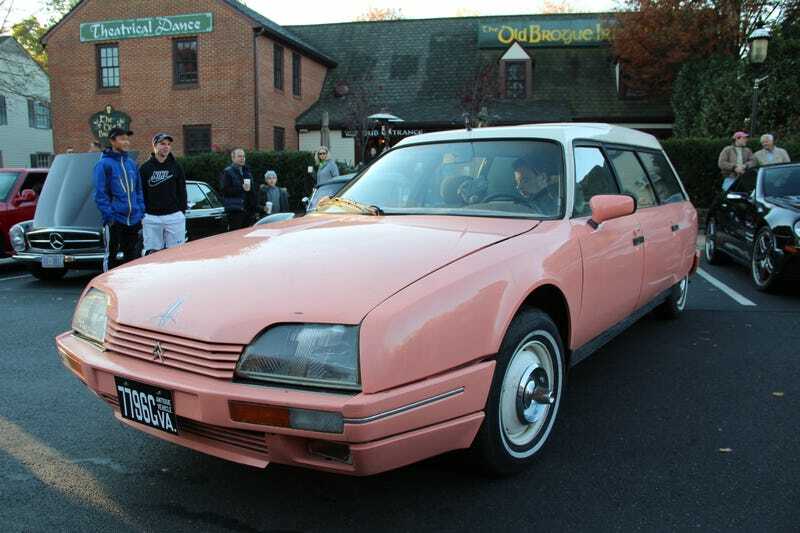 This is a salmon pink Citroën CX estate wagon. You generally don’t see these every day.